Two new operators and a Fortress map round out some of the upcoming content. 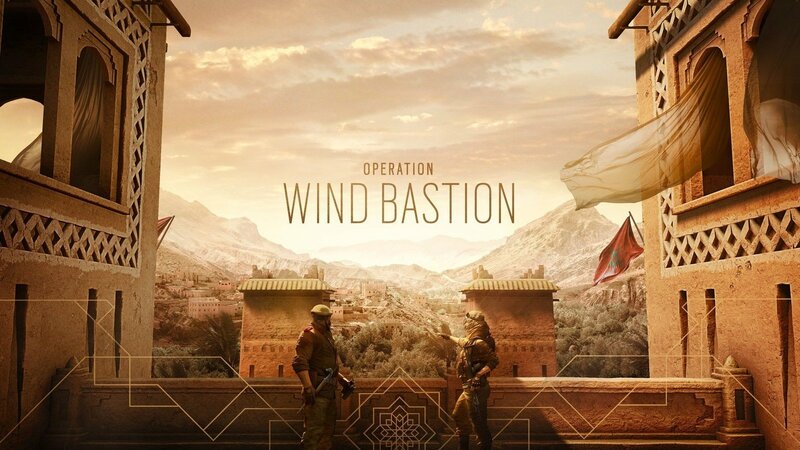 Rainbow Six Siege's Season 4: Operation Wind Bastion is coming, and Ubisoft has shared some of the details regarding what the new update will bring. Rainbow Six Siege's latest content drop will include two new Operators, one an Attacker and the other a Defender, both from Morocco. Both are a part of the Kingdom of Morocco's GIGR (Groupe d'Intervention de la Gendarmerie Royale). Ubisoft has detailed them in its announcement post, noting the Attacker as an "expert on environmental operations with a knack for pushing the enemy back." The Defender "inspires respect and has taken it upon himself to guide the future of Moroccan Special Forces." You'll be able to utilize the two new characters on the upcoming Fortress map, the first that will have been associated with an Operator. It's a military training facility situated deep in the Atlas Mountains, throwing players into a “mudbrick Kasbah with iconic architecture.” It will feature two sections with varying cover and locations to be utilized for close and long-range combat. Ubisoft has only offered up a taste of what's on the menu so far, but we'll be hearing more about Year 3 Season 4's goodies when the developer drops more details on November 18.